The little red dress is a staple piece for any weekend wardrobe. 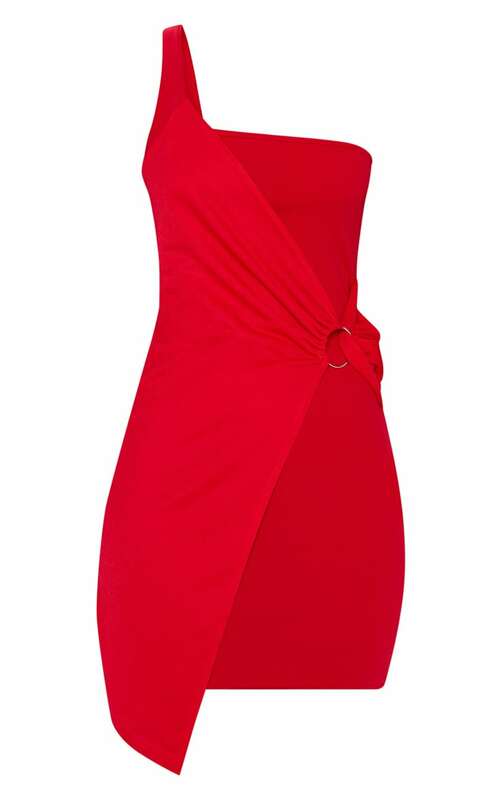 Featuring a red fabric with a one-shoulder neckline and ring detail. Style with heels and statement earrings for a look that will be turning heads on a night on the town.